Unbreakable. 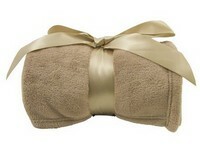 Blankets one of the most durable gifts you can give. Not only are blankets practically immune from shipping damage, they will last for years. Most of our products are machine washable, allowing you to easily keep them clean and fresh.